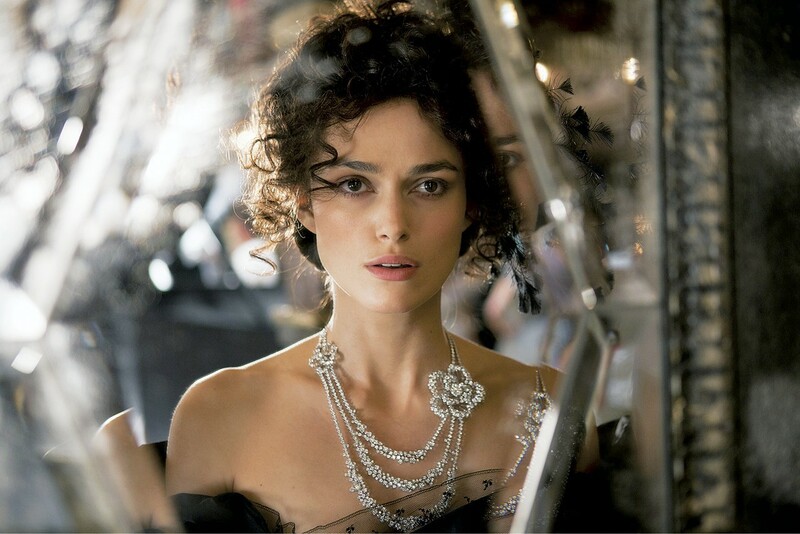 Here's what I knew about Anna Karenina before seeing the movie: Tolstoy, Russia, about a woman. So I don't know if the newest film is a good adaptation of what many consider the greatest novel ever. I do know that I was mostly intoxicated by the effort and its mildly radical way of adapting for the screen. Director Joe Wright was responsible for the better-than-the-book Atonement and the much-appreciated Pride & Prejudice, each starring Keira Knightley. He played both of those mostly straightforwardly though still cinematically. With Anna Karenina, Wright blows the doors off the thing; I think it works. The tale, set in Imperial Russia, could by all rights be a sweeping period drama, shot on location, all onion-domed and be-Cossacked. Wright embraces the sumptuous costumes and period-precise milieu, but he stages the action as if it were happening not just as a stage play but also as if it were busting into the wings, crossovers, and trap room of a theater. Actors change wardrobes in front of you, becoming different characters. Sets are carted off and replaced with new ones, all while actors are performing a scene. One intimate scene takes place while rigging hangs down around the actors. It's stagecraft where you are reminded it's a stage. I'm sure the artificiality of the enterprise was a budget-saver for the film, but the aesthetic is suffuse enough in Anna Karenina that it feeds into the plot and themes. Anna (Knightley, ever Wright's muse and here as good as she's ever been) is an aristocratic woman married to a cold, taciturn man, Karenin (Jude Law). She falls for a dashing, wealthy cavalry officer, Vronsky (Aaron Taylor-Johnson), a blond peacock. Their attraction bursts in a one-shot dance scene, where the other dancers are frozen still until animated by Karenina's and Vronsky's passion. Their affair scandalizes high society in Moscow and St. Petersburg and threatens to ruin Karenina. Gossip is a force as fans flutter and whisper accusations. Through these techniques and others, Wright imparts a heightened sense of the artificiality of society's mores and class and gender standards and a romance that fights against being defined by them. The fake walls hemming in the actors are shown for what they are; would that the characters could see them. Lots of other Russian conflicts and ideas bubble up, too, to varying degrees of satisfaction, such as Marxism, bureaucracy ("Paperwork is the soul of Russia"), and reason versus feeling. Hammers and sickles make their appearance. Two subplots are rewarding: Karenina's brother, Oblonsky (Matthew Macfadyen) can't keep it in his pants, paining his wife, Dolly (Kelly Macdonald). And Dolly's sister, Kitty (Alicia Vikander), tries to keep a well-meaning suitor, Levin (Domhnall Gleeson), at bay. By not fully embracing the formula of a costume drama, Wright misses out a little on something captured in Martin Scorsese's The Age of Innocence, a similar story in a similar setting that said a lot in the employment of domestic details. But Wright pushes the ball forward ever so slightly for cinema, crafting an interior epic of no mean artistry. He swaps scale and grand vistas for emotion and character. It's not like he was making War and Peace. Anna Karenina is not showing in any theaters in the area.